Samsung's Galaxy Tab 3 10.1 sees them pair with Intel for the first time with an Android device! 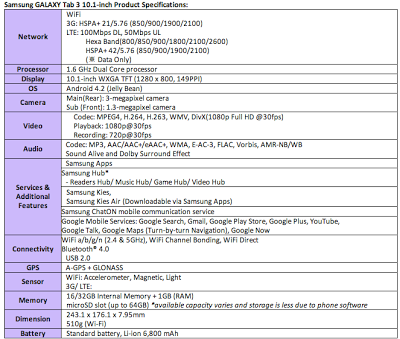 We've already seen the specs of the 8-inch version of the Galaxy Tab 3, but the 10.1 inch offering is a slightly different beast! 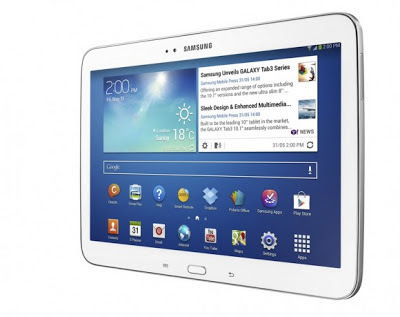 This is the first of Samsung's Android line-up to be powered by Intel processors. This bigger device is much like its smaller sibling in the majority of its components. There's still a 1280 x 800p display which is spread across 10.1-inches this time so that's a ppi of 149 this time. There's a dual-core 1.6GHz Intel processor driving the whole device, which is backed up by 1GB of RAM this time and 16 or 32 GB of internal storage which is MicroSD expandable. The cameras aren't quite as good here either with the rear camera being a 3MP sensor and the front camera retaining the 1.3MP resolution, but that's the price of getting a bigger tablet on a budget. Just like the smaller version there's Android 4.2 and Samsung have equipped this thing with a great 6,800mAh battery. There will be your choice of WiFi-only, 3G and LTE variants to pick up from the "beginning of June." 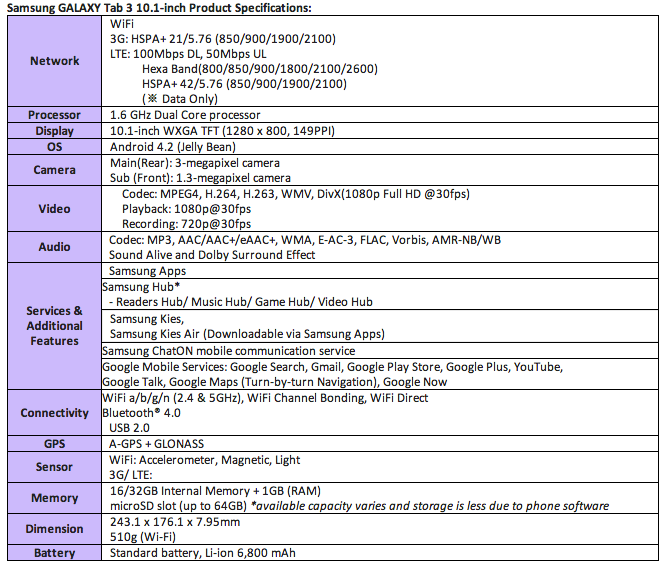 The full spec sheet is embedded below!